Blue ginkgo branches and abstract leaf wreath. Hand drawn watercolor. Pattern with wreath and birds. Round frame of twisted willow branches. Easter wreath isolated on white background. Watercolor set with leaves and branches on a white background. 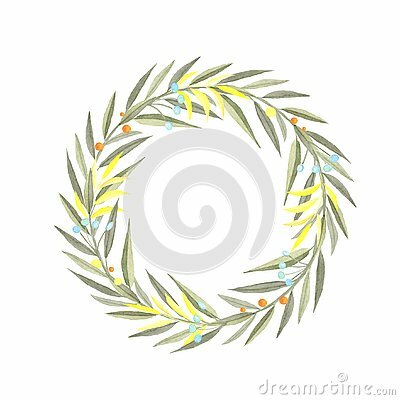 Watercolor illustration of a vintage wreath of branches.